Bladen and Columbus County NC DWI and traffic violation lawyers Hester, Grady and Hester PLLC provide tenacious defense of these offenses. Our Elizabethtown NC DWI and traffic violation lawyers understand that people make mistakes but we also understand the impact that this mistake can have on the day-to-day life of the offender. 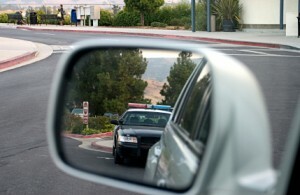 We work hard to minimize court imposed penalties such a license revocation or fines. We’ll take the time to understand the details of your case, work with the prosecutor to try to minimize penalties and get your life back to normal. Our firm has been in practice since 1926 and our attorneys, Gary Grady and Cliff Hester, have over 50 years combined experiencerepresenting clients in Southeastern NC. All fifty states have laws regarding the operation of a motor vehicle including cars, trucks, motorcycles or commercial vehicles while impaired through the use of alcohol or drugs. There are four names for these violations known as DUI or driving under the influence, DWI or driving while impaired, OUI or operating under the influence and OMVI or operating a motor vehicle while impaired. These laws make it unlawful for an individual that is impaired by alcohol, drugs, prescribed medication and even over-the-counter medication to operate a motor vehicle. North Carolina law dictates that the BAC or blood alcohol content level that is unsafe for an individual to still operate a vehicle is 0.08 or more. If the operator of the motor vehicle is under the age of twenty one, zero-tolerance laws do not allow the operator to have any level of alcohol or imparing substance in their system. Law enforcement uses two primary methods for establishing proof that the individual under investigation is under the influence, either through a field sobriety test or through a chemical test. Field sobriety tests are just that, tests administered in the field to gauge whether or not an individual is impaired. Walking a straight line heel-to-toe, reciting the alphabet or the pen-light test are the typical tests administered. Chemical tests are also used to gauge intoxication and can be administered using a breathalyzer or through blood/urine tests. Drivers do have the right to refuse these tests, however refusal to submit to these tests fall under the implied consent laws and typically result in mandatory suspension of license for six months to a year. Penalties for DUI convictions include fines, community service, probation or even jail. The severity of these penalties depends upon a number of different factors such as driving history, previous convictions for DUI, if a child was present in the vehicle, if property was damaged, if another individual was injured or killed and a few other factors. If you need experienced legal representation in NC regarding DWI, DUI or traffic violation cases, please contact us for a free consultation.